Since leaving The Vancouver Sun in September, I've been mainly keeping myself busy with a lot of non-journalism work: teaching at Kwantlen, giving talks and doing a lot of data visualization training. The project really put my nerd skills to the test. I had to figure out how to cobble Census Tracts together into meaningful neighbourhoods, use QGIS to map business locations to neighbourhoods and figure out how to use a "Z score" to get the whole ranking to make sense. 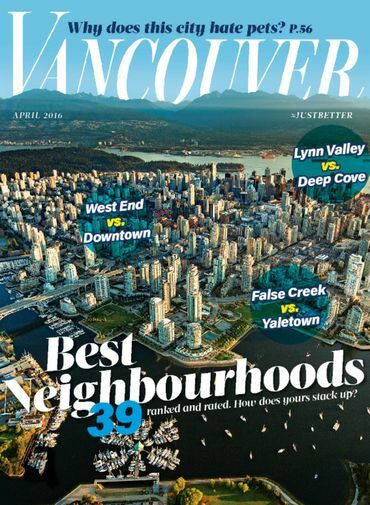 I also got a chance to work with a great team over at VanMag -- Tom Gierasimczuk, Max Fawcett and Trevor Melanson -- who I hope I get the chance to work with again soon. 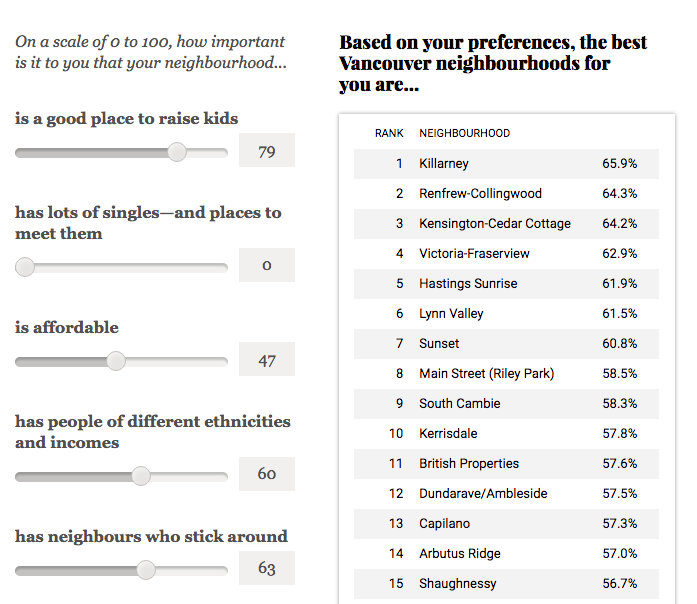 The overall winner for most livable neighbourhood? False Creek, followed by the West End and Lynn Valley. You can pick up Vancouver Magazine at your local newsstand and check out the full ranking online here. These kinds of rankings are obviously subjective, as you have to make a decision about how much to weight different aspects of livability. 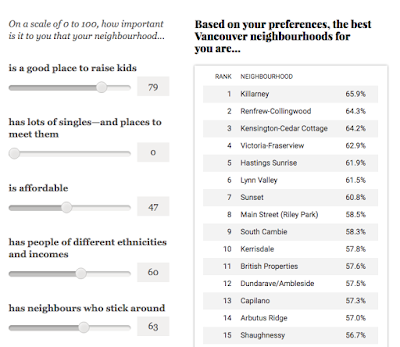 Which is why I'm so pleased the project launched with an interactive calculator where you can answer a few questions about what's most important to you about where you live and find the best neighbourhood just for you. If you've got a data project -- journalism or otherwise -- you'd like me to help out on, drop me a line at cskeltondata@gmail.com.